A flexible mobile app development process & app development strategy is vital to create an app that can withstand the competition & prove an asset to the clients. It is an undiminished fact that the future of technology belongs to mobile. Mobile app development, more importantly mobile apps are playing a noteworthy role in enhancing businesses from tip to toe, irrespective of their size, genre or working method. Whether you look at e-commerce, retail, content curation, etc everybody is on mobile. Customers also are using their smartphones, tablets and other digital devices for navigation, accessing information or connecting with others. With immaculate mobile app development strategies, businesses can make their products or apps visually amazing, fully interactive and easy to be integrated with any kind of new or upcoming technology. By employing a cohesive technique, mobile app development has increased the number of devices such as phones, tablets & wearables and also the devices that connect to the company’s enterprise resources. For the companies, it is important to have a scalable mobile app development platform, so that when it advances its level, the base should be good enough to confine them with all the facilities. An agile mobile app development process is necessary to support important management modules such as testing, application analytics, product security and lifecycle of the app. In the present digital age, the mobile app development strategies must be designed in such manners that are highly convenient, relevant and preferable to the user’s need. 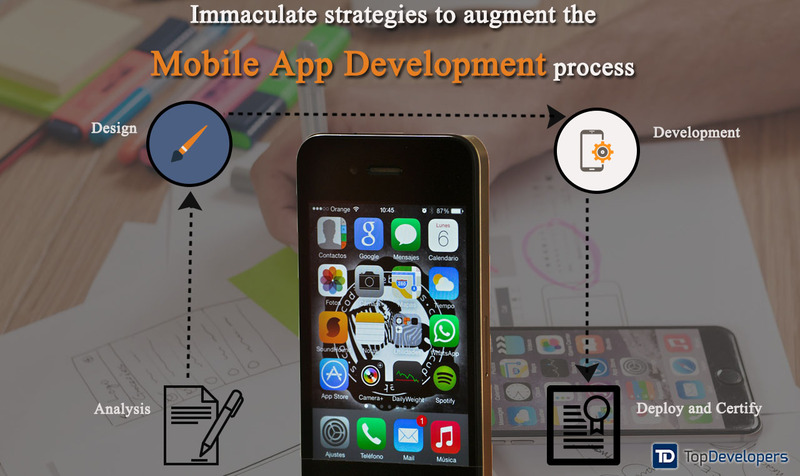 Here are the strategies that would help the companies in their mobile app development process. The first and foremost thing in any process: understanding its necessity and defining the goals according to it. The same goes with the process of mobile app development. The mobile app companies should understand the needs, wants and potential of their customer base before stepping in the process of mobile app development and decide the landscape of their product. User experience or UX as its fondly known as, is everything when it comes to mobile apps. Because, the value and the success rate of the app does not depend on the number of features or specifications it has, it depends on how good an experience the user had with it. Mobile apps with immaturely designed apps, connectivity issues or low screen configuration can have a drastic effect on the UX. 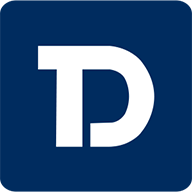 Therefore, the companies should understand the importance and ensure to maintain a close collaboration of the designers and the developers along with the quality analysis team, so that they all are in tandem to built an app that is trustworthy, durable and efficiently compatible with all the latest technologies available. A team working together is pretty crucial in mobile app development process for the companies as it could be a major catalyst in creating an app with comprehensive user experience. Mobile app development companies must realize the virtue of having a scalable mobile technology so that it helps them in transforming their relationships with the customers. Full-fledged mobile apps can be vital as it can integrate seamlessly with all the system and reduce the time-to-market aspect for the organization. Enterprises these days have started using EAI products that are critical in improving the efficiency of the app on various possibilities and use the modules that scale easily and quickly with the technology. Conceptualizing about the development process is important, but it is also important to look at your surroundings i.e. contemporary mobile app development companies. The company has to visualize what its app would look like once it is fully completed. By reflecting on this point, they can make a profound app development strategy based on the current design and by comparing them with the leaders of the competition. Also, the app development strategy should include the things that would keep the originality and uniqueness of the app intact at the forefront. Unifying the technical specification in app development strategy is vital as the developers can go with a clear view of what the client or the customer is expecting out of the app. Mobile app development process done under the guided eyes of the experts will bring in rich results as they are the people who are aware of every nitty gritty of the app. The developers and designers will build an application that will clearly define the essence of your product on the first go itself to the customers. The developed app can be static or dynamic as per requirement. After putting your plan into execution, it is important to create a beta version that will show a rough iteration of your actual design and work. The elementary form must look like the original so that it will make the customers elated about the original thing. Including beta version in the app development strategy can prove an important element in getting the feedbacks about the functionality of the app. Through this the companies could be more clear about the needs and wants of their customers and thus make the necessary changes in the original version before the launch. However, if the customer feedback causes radical changes in the product, then you must return to the basic app development process and start it again from creating the wireframes. Even if you are exhausted after the mobile app development process, don’t hang up after launching the app. There is more to the app development strategy and that is marketing the app. So, get the traction with your app and use the knowledge that you have accumulated throughout the app development process. App development strategy is vital as it will help your app to “stand-out” among its contemporary apps and this could prove decisive in today’s cut throat competitive scenarios. App Developers nowadays look for an app that is made through an agile mobile app development process and that could serve them in the long run.